to synthetic preservatives or parabens as Living Nature has a passion for nature. 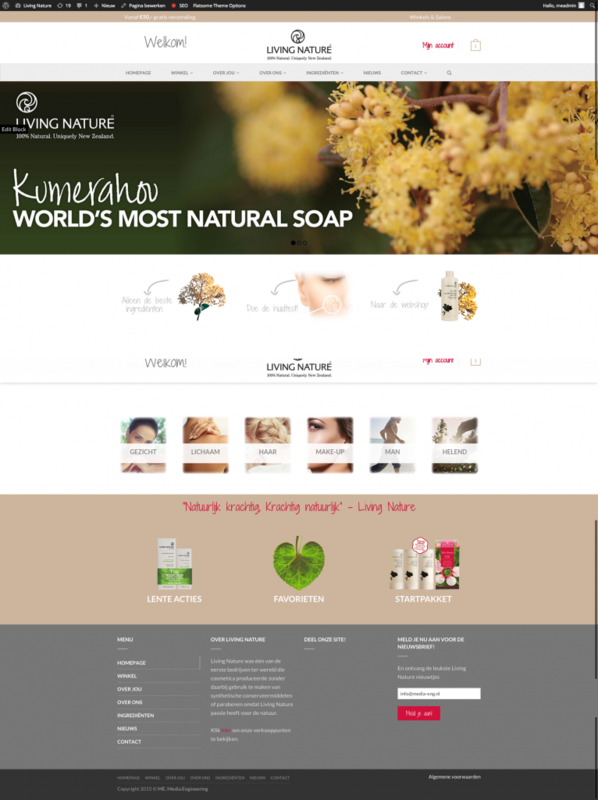 Living Nature was ready for a new, modern and natural look that suits the brand Living Nature. The system that was used at that time did not meet the growth Living Nature was going through. ME. 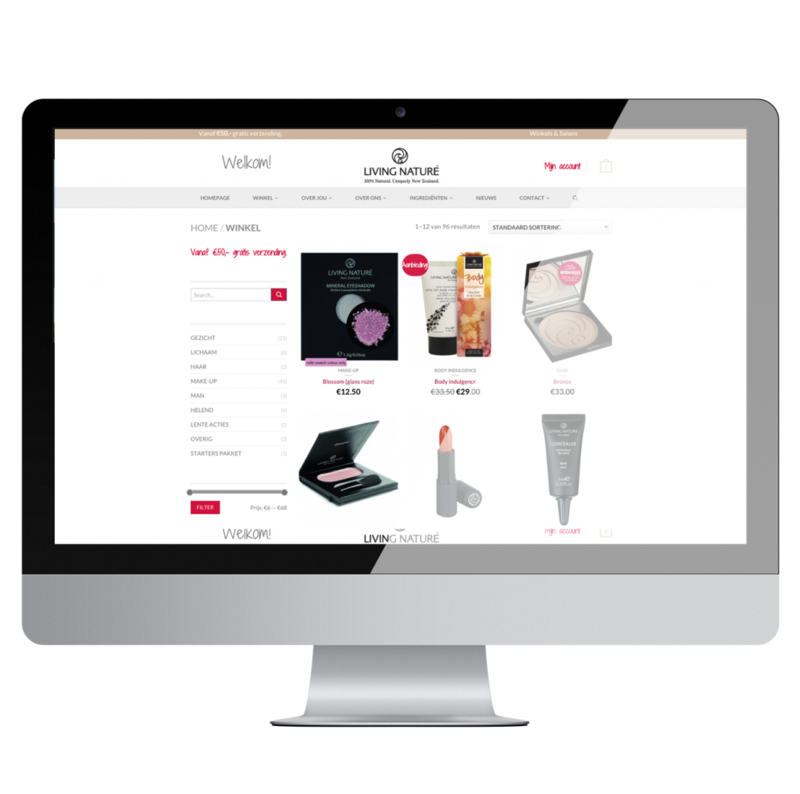 has put down a new WooCommerce solution in line where customers of Living Nature, of course, one can shop online. Through a Wish can go to the nearest salon and / or store where you can pick up the Living Nature products. Living Nature now has a complete solution where they future-oriented all can operate with its customers.